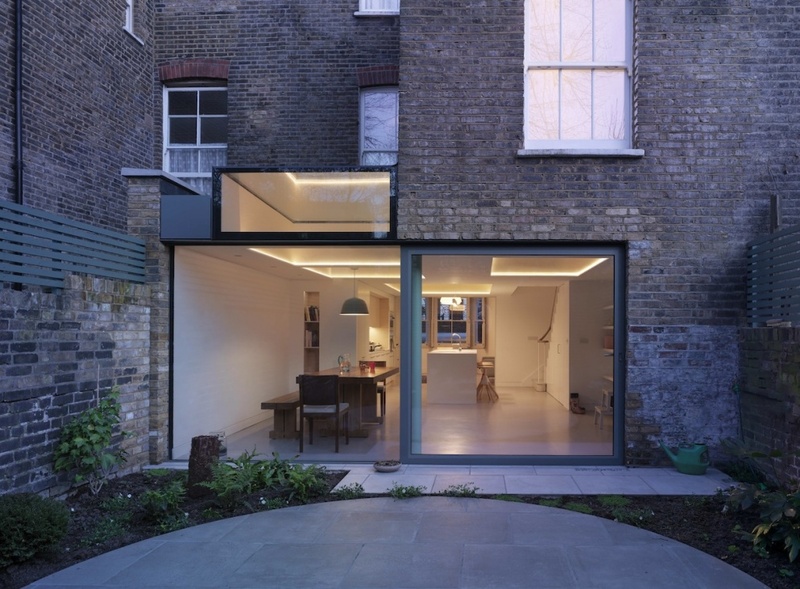 Inglis Badrashi Loddo Architects (IBLA) have completed a glazed single-storey rear extension of a Victorian terraced house in Highbury. 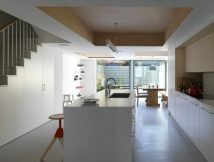 The design adds 10m2 of light-filled space to the home with the addition of pastel colours and timber. For the client, a young family, the original lower ground floor suffered from lack of light and damp and was consequently under-used. With construction lasting just over seven months, IBLA opened up the space by removing the walls of the rear facade, the outrigger, the existing bedrooms and stair. They chose to relocate the kitchen from the upper level, and create a glazed infill side-extension that provides the family with an open space for cooking, dining and relaxing. 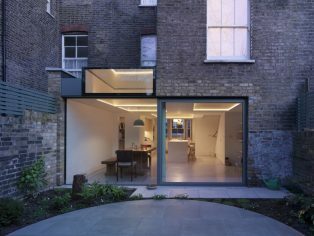 In an overlooked Victorian backplot, the extension is both filled with light and retains a sense of privacy. This is achieved by a 2.3m by 2.3m sliding glass door and similarly sized window to the rear, and innovatively angled skylights pushed up from the ceiling with plywood ‘coffers’ that capture as much natural light as possible. At night, the space is illuminated by concealed LED lighting. 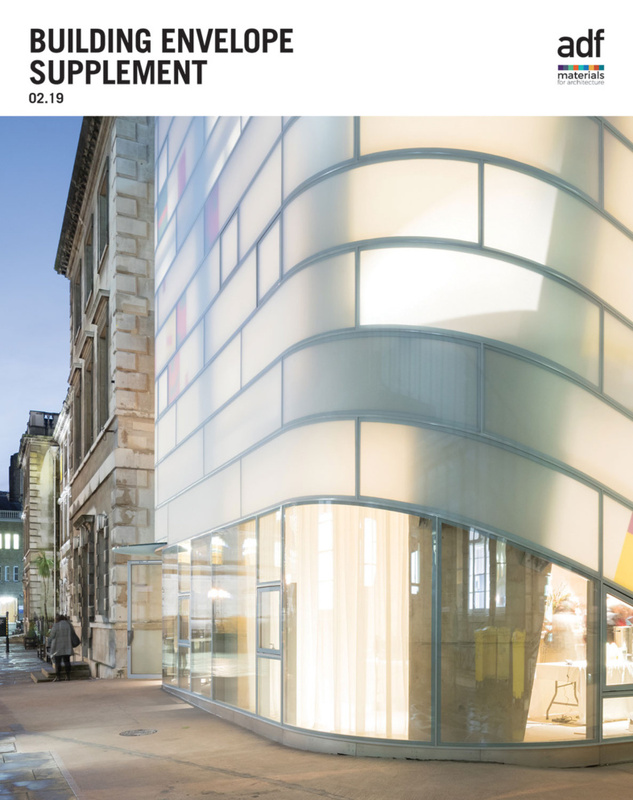 The project is a sustainable and money-saving investment too, with lower ground walls fully insulated internally; the polished concrete flooring also includes underfloor heating and a long-lasting and stylish surface for the extension. A plywood kitchen island doubles up as a breakfast bar, and holds storage space for three Magis swivel beech barstools to be tucked away when not in use. A new stair holds added storage in the form of pull-out larder units, and leads up to a new family bathroom built within the walls of the old kitchen. An ample bookshelf for young and old sits next to dining table carved into the walls of the extension. Delicate touches of pastel lend the extension an air of post-modernism, with a dusty green covering the internal column, Muuto lampshade and trims of the dining area. This use of green continues into the garden with the slatted timber fence bordering the area.